This book is for IT professionals, system administrators, and DevOps professionals or anyone looking to quickly develop and deploy software to production at scale. If you are interested in Docker, DevOps, or containers in general, don&apos;t look any further. 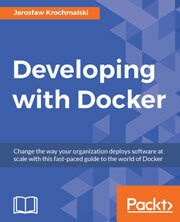 This book takes a fast-paced practical approach that quickly gets you up and running with Docker so that you spend less time learning and more time deploying Docker containers effectively. This book contains a mix of concepts, practical examples, techniques, and the most up-to-date content to run things effectively in production. We&apos;ll show you the easiest way to speed up your development and deployment with Docker.